I was competing at an elite level, nearly two decades ago, in what could arguably be described as a female dominated sport; figure skating. Ironically, it was an injury from skating that launched me into boxing, a sport that’s been considered to be an “all boys club” for generations. A lot has changed since then. The things that drew me to boxing were, of course the physical demands, but also the technical precision, the strategy and the teamwork between trainer and fighter. 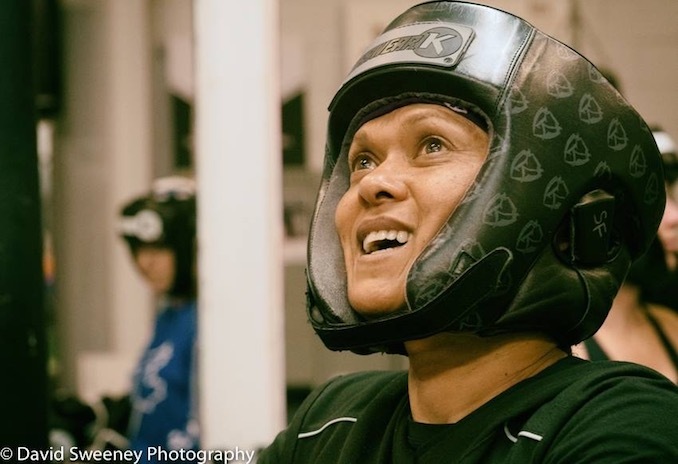 I was perhaps, young, naïve or blinded by my infatuation for the sport, but I managed to ignore the often pointed questions and comments about being a woman in boxing. The world, in and out of boxing, has changed dramatically, since then. I still get the questions and comments about being a woman in a traditional ‘boys club’, but now the tone is different. My role in boxing has evolved and expanded over the years. I started out as a boxer and I am now coach, judge, referee and entrepreneur. I pride myself on living a diverse life and have enjoyed personal accomplishments in every venture. I can say, without hesitation, that my successes in sport, business and my personal life, are a direct result of the training and experiences that have come from my involvement in boxing. Female fights have been effectively outlawed for most of boxing’s history, although women have been participating in boxing almost since its inception. Athletic commissions have refused to sanction fights, denied licenses to female fighters and most countries ban the sport outright. 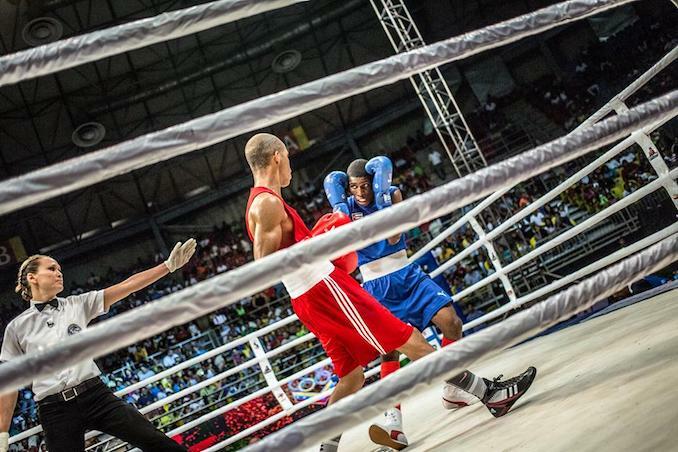 I have recently been garnering some international attention due to my involvement in boxing. It was pointed out to me that I had broken through some significant barriers in the sport, during a recent interview. I surprised myself when I said those words to the interviewer. I have to admit that I didn’t realize the significance of the events. My intent was to focus on moving to the next level in a sport that I loved, not breaking down barriers. Those words caused me to think about the incredible women that are pathfinders for other women, like myself, not only in boxing, but in the world of sports in general. 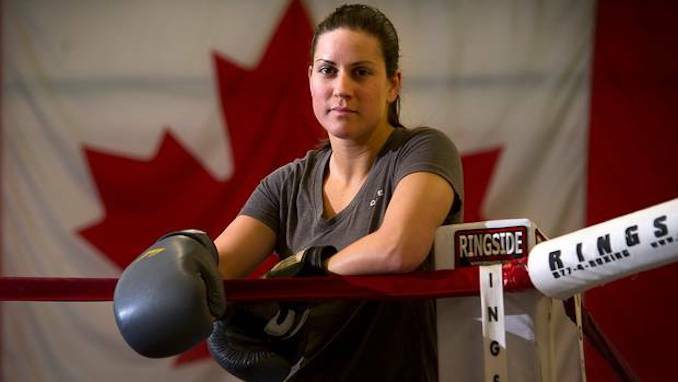 There are two Canadian women in recent history who truly stand out for me, for their contributions to the ongoing evolution, if not revolution, in the boxing world. These two incredible athletes are part of a long and growing list of women who have, and continue, to inspire me, as well as countless other men, women and children. I am a coach and gym owner, international referee and judge, an executive director of a charitable organization – Fight to End Cancer – and a first-hand witness to the transformative power of boxing. Being part of this sport is exhilarating, bordering on being addictive. I have seen the makeup of my gym members evolve, over the last number of years, with more and more women starting and sticking with boxing. We even have a program specifically dedicated to teenage girls which has grown every season. I see more and more female colleagues at the events I officiate as a referee, and though I still predominantly officiate male boxers, the shift can even be felt in the international scene. Most countries now maximize the allowable quota for females at World and Olympic level competitions. 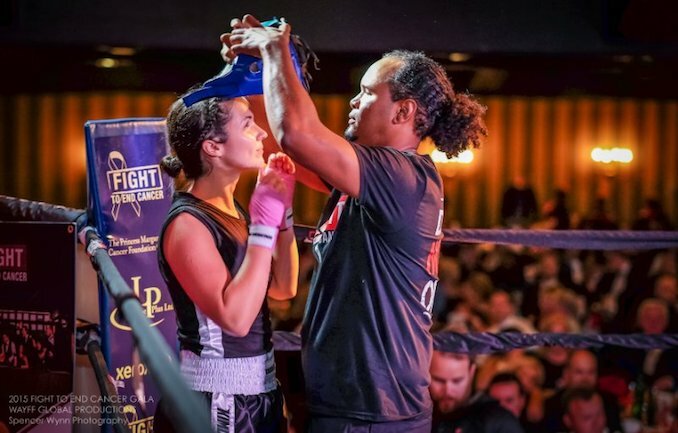 It’s so important to me to create that dialogue, because not only are these incredible women raising money to fight cancer, they are such instrumental pieces to the puzzle when it comes to making people recognize that boxing is a sport for everyone. It is essential to include women in the event and every year the women’s fight is the fight of the night! They are strong, tactical and very technically sound. 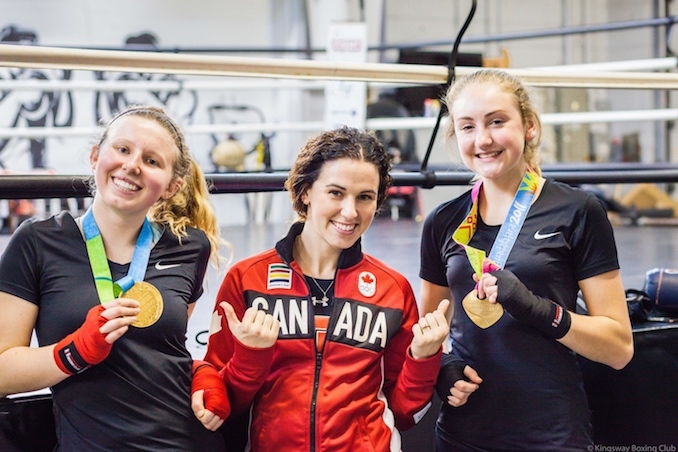 It is an amazing thing to see these beautiful, successful women dedicate themselves to the cause, the training and the sport as they continue to evolve the sport. Taking and throwing punches isn’t a boys club anymore. Each year, the Fight To End Cancer Gala features at least one female bout that proves to be the ‘Fight Of The Night’. 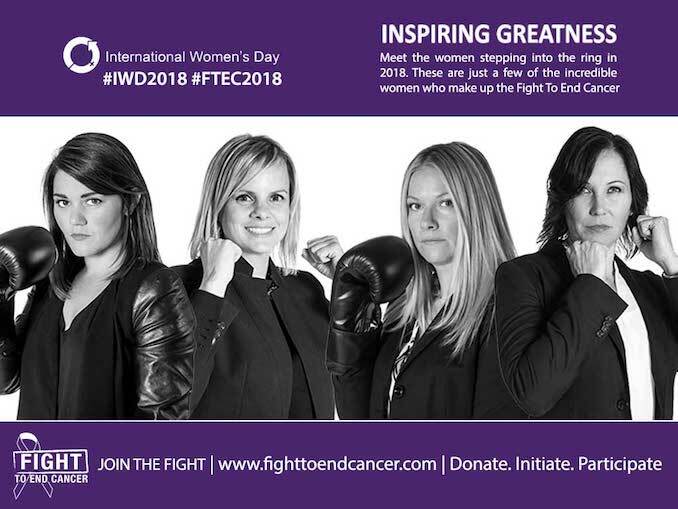 Join us on March 8th, as we celebrate International Women’s Day by reflecting on all of the hard work that our past, and present, female fighters have put into training to step into our ring and the hundreds of thousands of dollars that have been raised (collectively between them), in support of cancer research at the Princess Margaret Cancer Foundation. (left to right) Heather MacDonald, Christina Vatsis, Dawn Millar and Alison Turnbull, along with their 6 teammates hope to raise over $250,000.00 this year alone. Learn how you can join them in their Fight To End Cancer. View FTEC2018 Fight Team.